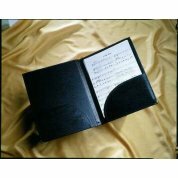 The ultimate choir folder. 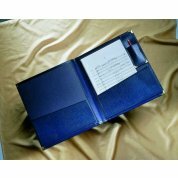 Every element of the Mastersinger choral folder has been designed with the convenience of the chorister in mind. 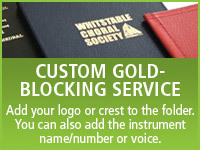 Custom gold-blocking available to order. 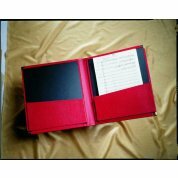 A hard wearing, small size (229mm x 305mm) choral folder with two expanding bottom pockets, which will look handsome for many years. 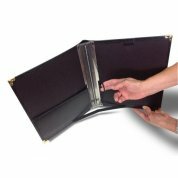 Custom gold-blocking available to order. 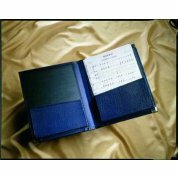 A choral folder that comes in a small size (229mm x 305mm), has two bottom pockets and two retaining strings. 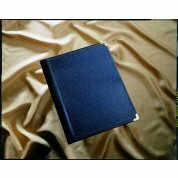 Custom gold-blocking available to order.